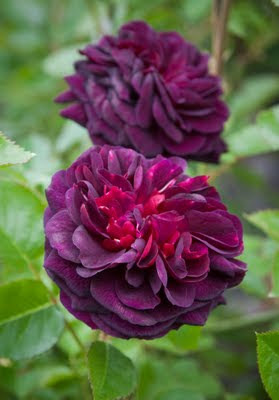 Paul Barden Roses: Mislabeled seedling. The picture, at least, is more purple than Cardinal de Richelieu. You could have a winner there. What wunderful colour- This rose should be retain. Is there any possibility to get your roses in Europe? The color is wonderful. If the plant lives up to the bloom, you may have a winner there.